Profits, clients, and products are some of the terms expected to be faced by any business entrepreneur and owner. However, aside from these matters of finances and society, business owners must be knowledgeable about legal form requirements especially for businesses in the food industry. 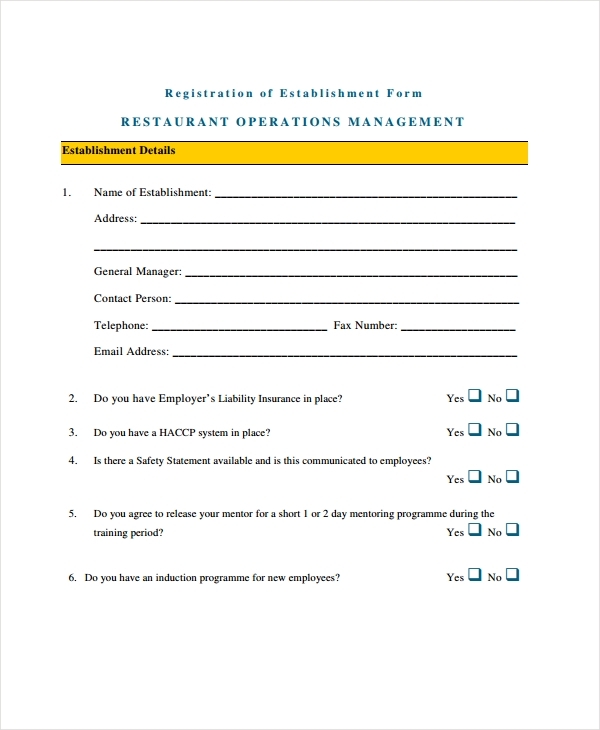 One of the known requirements includes documents and forms needed to open a restaurant business wherein the most common are kitchen management and restaurant management forms. Business owners must have this paperwork in order to comply with their state’s rules and regulations as well as to assure that their restaurant business is operating legally for their clients. Dealing with staff issues and inventory are the basic reasons why restaurant management forms are needed by restaurant business owners. This form has the necessary details of how the owner can handle the daily tasks in his restaurant. You may also like restaurant feedback forms. The form can vary on its arrangement and layout depending on what the subject of the document is such as indicating a restaurant opening checklist for proper inventory checking prior to launching the business, and a restaurant marketing budget plan for advertising the business to its target clients. Securing that the goals and the objective of a restaurant business are met is the main purpose of using a restaurant management review form. This is useful for determining whether the process of the restaurant in dealing with clients are efficient or not, as well as distinguishing the status of the business from all other competitors in the industry. A variety of this form is also used during the hiring period of the restaurant business. The hiring personnel or the owner will use the manager job application review form to state his employment recommendations and choose the right candidate for the job. 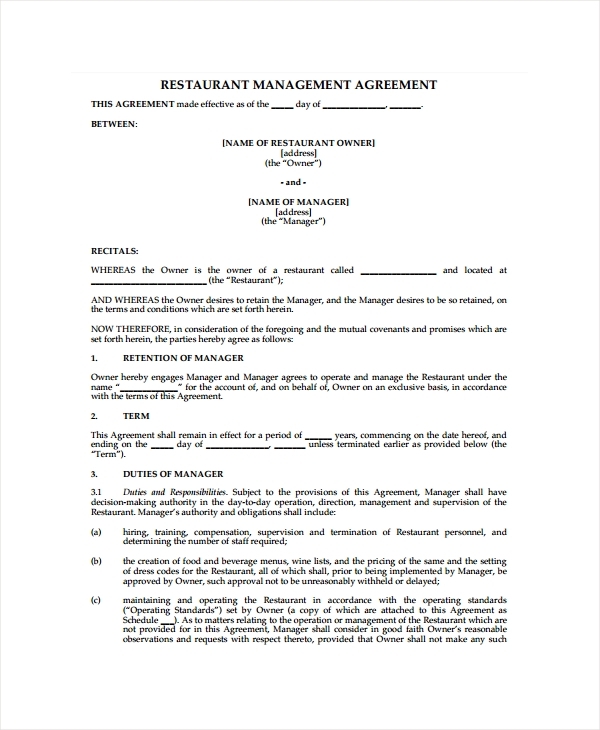 A restaurant management agreement form is necessary for indicating the terms and conditions of the business owner to be agreed by other parties involved in managing the restaurant. 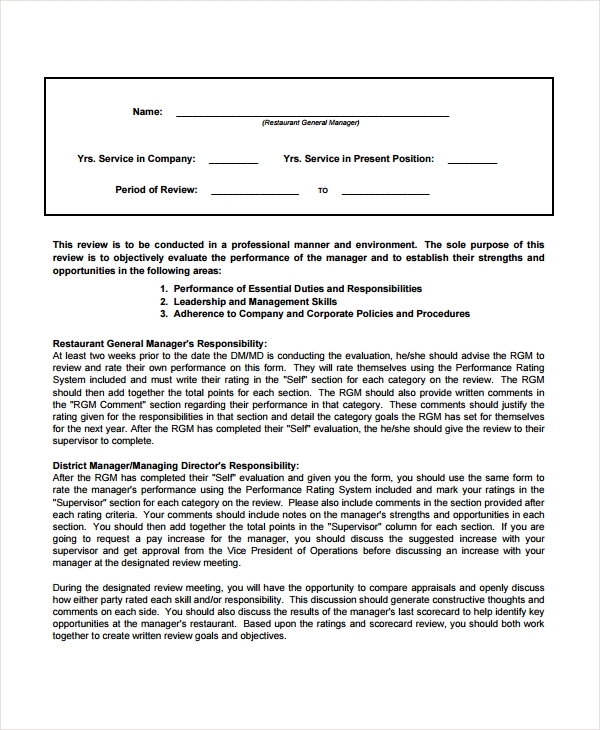 Just like other restaurant agreements forms, this document must state the roles of the manager and other staff of the business to assure that each obligation is assigned to the appropriate individual. The form contains a number of regulations to be approved by the parties such as details about the uniform agreement that will mandate the employees to comply with the company’s dress codes and proper grooming rules. Management forms are also evidently used for maintaining proper restaurant operations. 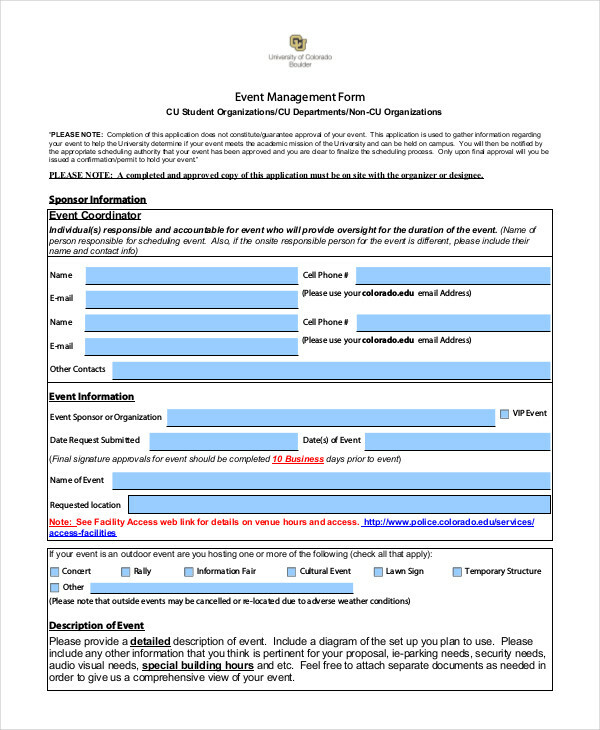 Specifically, a restaurant operations management form will have the details of the restaurant business including the name of the general manager and his contact information. This form also has a section that is allotted for conducting a quick restaurant evaluation about the establishment’s safety and employee programs. Most restaurants offer catering services to their clients, which is why restaurant finances and business forms must be prepared by the restaurant owner. 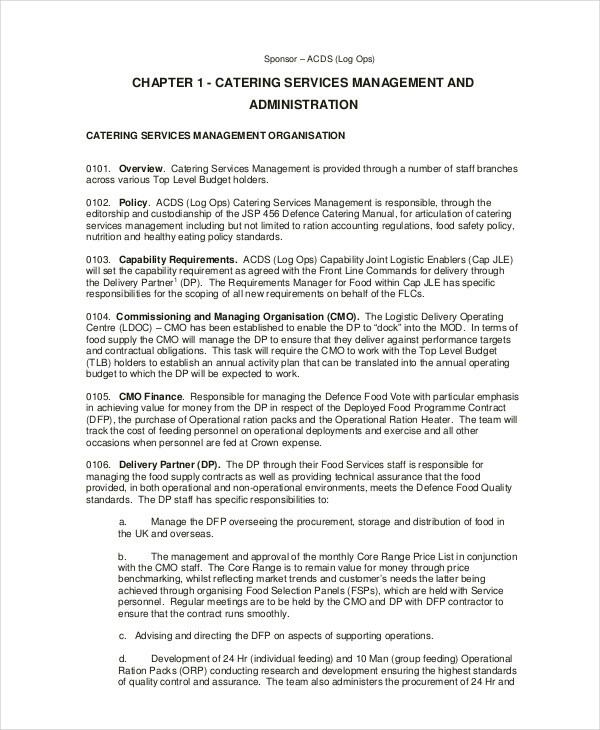 These documents will accompany a restaurant food service management form to indicate the range of available services and dishes that the restaurant can provide. Different states and countries have varying rules and regulations when dealing with food and restaurant businesses. Among the rules that business owners must comply, the food safety is one of the most important. You can also like restaurant application forms. 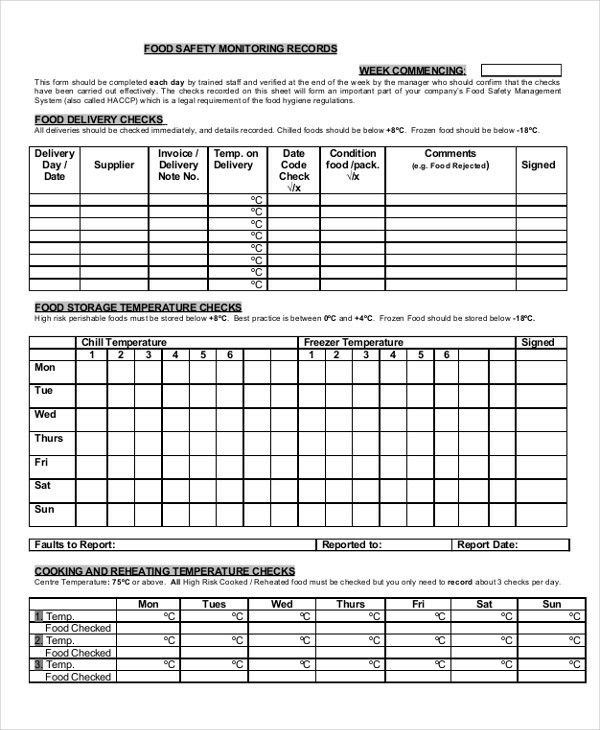 With a food safety monitoring management report form, restaurant business owners can determine whether their dishes have been delivered on the right time, are stored at the appropriate temperature, was cooked properly by the staff, as well as whether the restaurant business document requirements have been submitted to the authority. Additionally, the form is also significant for securing that restaurant finances and expenditures spent for purchasing ingredients and quality equipment are recorded promptly. 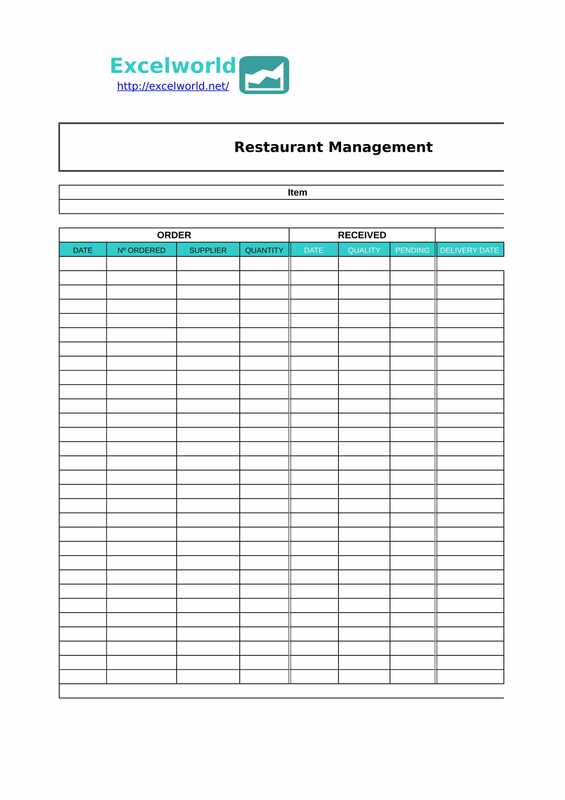 Restaurant management forms are used along with other essential business and food-related documents such as catering forms and menu forms. 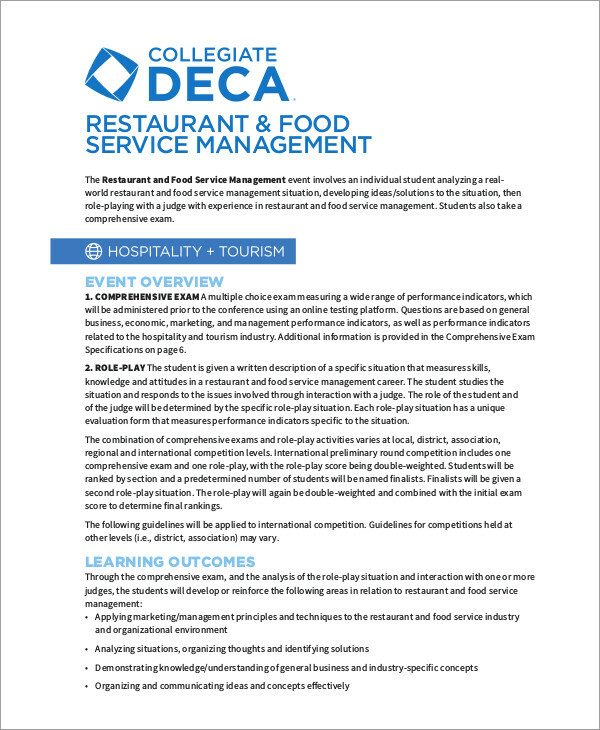 All of these papers will aid the restaurant managers to inspect and secure that they are meeting the expectations of their clients, the state, and that they have presented their services effectively to their audience. Hiring the right chef or staff and choosing what dishes will be served is just the beginning of the responsibilities that restaurant business owner must accomplish. 1. Comply with the law – Complying with the state’s rules is important to any business field since the government is the only authorized organization who can approve your business ideas as well as decline your dreams from becoming a reality. This is why you must secure your sample legal forms such as the restaurant tax forms that you were able to complete along with your business certificates and licenses. 2. Secure training sessions for your employees – Improvement opportunities must be given to your employees and staff in order for your business to be successful. Training sessions, seminars, and even quick meetings are useful for any profession that your staff was able to acquire in their education and college years. You can also like food order forms. 3. Implement and review – House rules should be observed on the premises of a restaurant. Along with these rules are the ways and steps of how the staff must prepare and serve the meals to obtain customer satisfaction. To assure that the rules are followed and not left aside by the staff, business owners must conduct a monthly and annual review. Assessing and reviewing the implemented rules will also aid in distinguishing if there is a need for updates and revisions. 4. Handle complaints and suggestions – Customer complaints and low rates from restaurant survey forms should always be taken into consideration by any business owner in order to construct effective action plans of how the management can satisfy their clients. These ratings and statements should be documented by the management especially after solutions are created and implemented. With all these tips and guides, any restaurant business owner must be able to control, manage, and lead his business to the top of the food industry. However, regardless of the trials and struggles in opening a new business, quality must be retained to attract more clients in the long run.